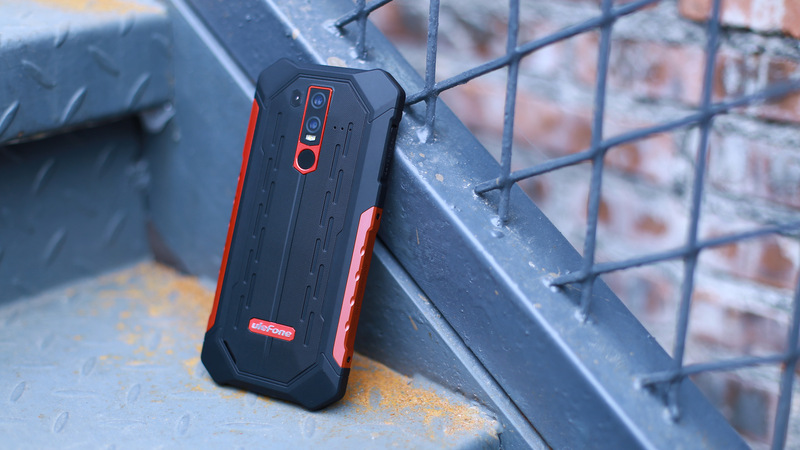 After its official launch at the end of last year, the Ulefone Armor 6 outdoor smartphone is now in pre-sale for a week. The cheapest way to get it is for $359.99 at Banggood. The advance sale runs until 21 January, after which the price should be around $400 again. You can find all information in the article. After the Armor 5 with its acrylic glass back wanted to look a little more stylish, the Armor 6 is back to the classic outdoor smartphone design. Furthermore, the successor finally gets a 6.2 inch FullHD+ display and the more powerful Helio P60 processor. As already mentioned, the Armor 6 again uses the classic combination of metal frame and TPU (plastic) and in the red version reminds a bit of the Vernee V2. The corners are a bit thicker again to absorb shocks better. On the back you will find a dual camera, a fingerprint sensor and also a UV sensor. This should warn you if the UV radiation is too strong and thus prevent sunburn. The LC display of the Armor 6 is a proud 6.2 inches, which has a resolution of 1080 x 2246 pixels (402 PPI). 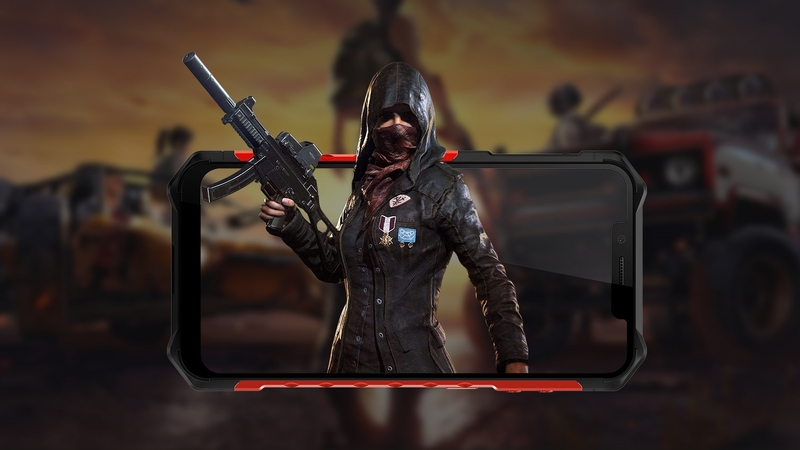 Unfortunately it also comes with a notch, which seems to be at least a bit smaller than the Armor 5. The screen in 19:9 format is protected by Gorilla Glass 5. Of course, the entire phone grows with the screen and now measures 166 x 83 x 13.3 mm. A lot has also happened internally. UleFone used the popular P23 before, now the newer and stronger Helio P60 is used, which is comparable to the Snapdragon 660 from Qualcomm. 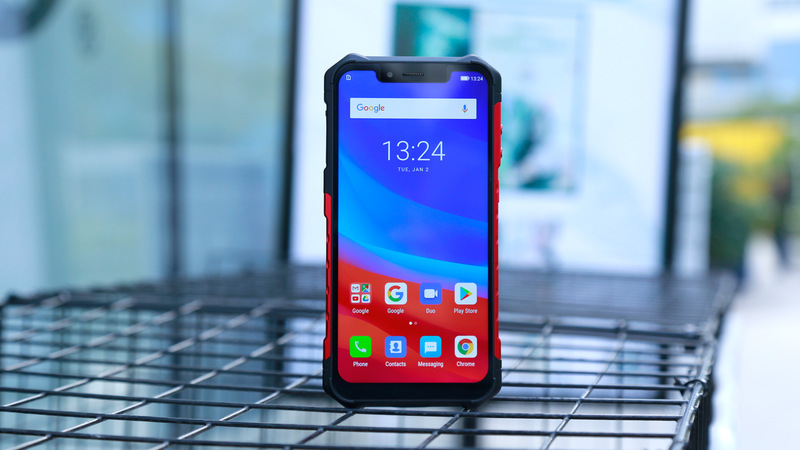 The P60 has four Cortex A73 cores and four Cortex A53 cores, each with a 2 GHz clock frequency, which provided plenty of power in the Umidigi Z2 Pro we tested. In addition there is the ARM Mali-G72 MP3 graphics unit and a dedicated unit for AI (artificial intelligence). The P60 is supported by 6GB RAM and 128 GB mass storage, which can be extended by up to 256 GB. All in all I’m expecting a big performance boost compared to the Armor 5. The battery stays at 5,000 mAh, but now it has to power a bigger and sharper display as well as a stronger processor. I’m a little worried when I consider the Armor 5’s weak battery life. UleFone simply has to optimize the software for the new chip this time, then there’s certainly a good battery life in it. But it’s already good to know that wireless charging is supported according to the Qi standard. We don’t know everything about the cameras yet. Currently we already know that the dual camera on the back consists of a 16 megapixel color sensor and an 8 megapixel monochrome sensor, which are highly interpolated to 21 MP and 13 MP respectively. The aperture size is f/2.0, so more light can fall on the sensor. Unfortunately, it is not yet known exactly which sensor it is. I hope that the second camera is not a dummy this time. In front you can take photos with 8 MP (interpolated to 13 MP) and a f/2.0 enlarged aperture. Face Unlock is also realized with this camera. In the camera segment an improvement must take place in any case, because this was one of the biggest weaknesses of the predecessor. 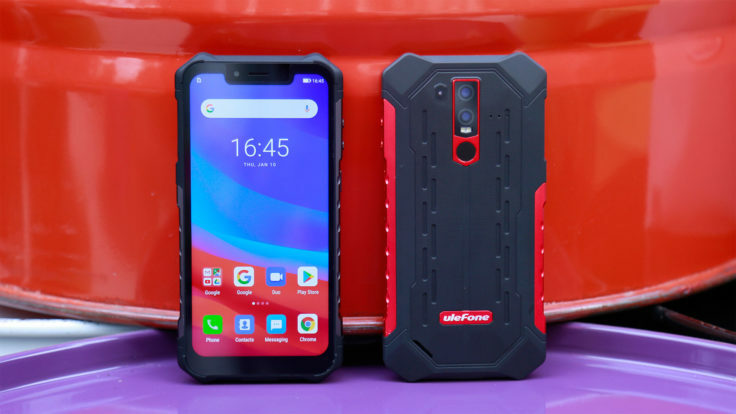 The Ulefone Armor 6 offers this time probably not only an IP68 (water protection up to 1.5 meters and dust protection), but also an IP69K rating. The 9K rating means that the Armor 6 is protected against water during high-pressure/steam jet cleaning. In addition, it should also meet the military standard MIL-STD-810, which does not mean, however, that all the necessary tests have actually been carried out. Therefore, I would not pay much attention to this statement. In terms of connectivity, the Armor 6 is well positioned. 19 LTE bands are supported, WLAN ac is available and even NFC (Google Pay 😉 ) is part of the game. The Bluetooth standard is not the newest with 4.2, but at least USB type C is used. It’s also very pleasing that according to the data sheet you probably use a real dual SIM. So you can use two SIM cards and one microSD card at the same time. Android 8.1 Oreo is used as the operating system. On paper, the Armor 6 sounds like a great outdoor smartphone. The new processor and the improved screen should make the operation a pure pleasure. But I’m sceptical about the camera and battery performance. Here you have to improve considerably if you want to sell the smartphone for 399$ at the beginning of 2019. 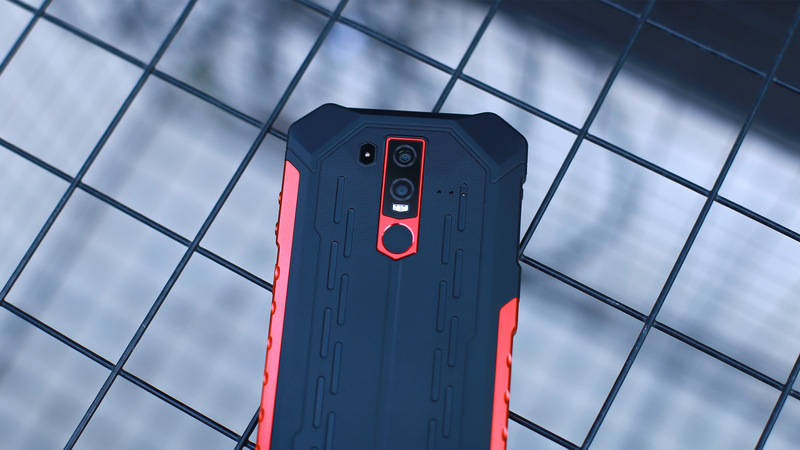 What do you think about the UleFone Armor 6? I hope that ulefone tested these claims for this handset. I was very disappointed with the armor 2, the speaker and earpiece lasted less than two months in a harsh engineering environment. information with us ad also know about. I like my power 5 it just can’t be used in the States. Not for a phone anyway so it is my internet device. 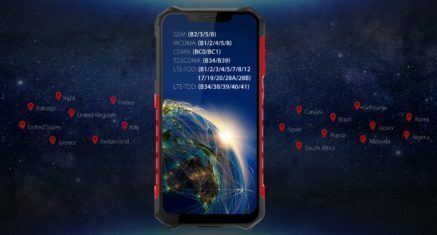 Does anyone know if the Armor 6 can be used for phone calls in the States? @jayseabreeeze , in comparison to the Armor 5 the Amor 6 covers a lot more different bands. It depends on which US carrier you have. Just have a look at the bands which are covered there and compare them to these. You should be able to use the phone accordingly.